Ancient Teachings for Beginners by Douglas De Long reveals the mysteries from the distant past and how they can lead to a brighter future in the New Age. It begins with a brief history of spiritual development from before ancient Egypt right up to the present. It continues by explaining the secrets of the aura and the chakras. In this section you'll learn about the importance of the third eye chakra. It is related to the pineal gland and the third eye. Opening the third eye aids intuition, creativity, and psychic abilities. You can do this easily by "toning," "doing vibrational work" or chanting Thoh (rhymes with "toe") at a middle or high "C" note. This triggers a vibration in the pineal which cause the third eye and its chakra to open. The exact techniques are included in the book. If you open the crown chakra (associated with the pituitary gland) you can improve some of your natural psychic abilities, including clairaudience, clairvoyance, and clairsentience. Vibrational work for this chakra uses the sound May. Breathing techniques and the exact way of toning to open the chakra are fully explained. You'll also learn how to see the aura and interpret its colors, as well as how to open all of the chakras. 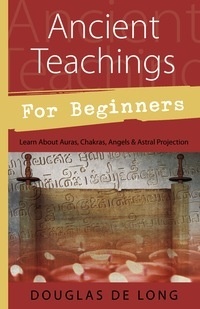 The book also explains techniques to send the mysterious kundalini energy through the chakras. But this book has more! It includes the secrets of channeling, such as working with angels and spirit guides. It goes on to share methods of astral projection and then reveals the secrets of reincarnation. 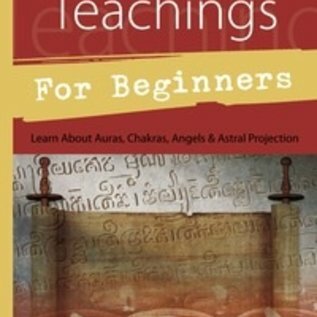 Ancient Teachings for Beginners is easy to understand and the techniques are a snap to use. If you are looking for an introduction to the secrets of the teachings of the ancient mystery schools, this book is for you!